It’s my mom’s birthday today and this is her favorite cake. 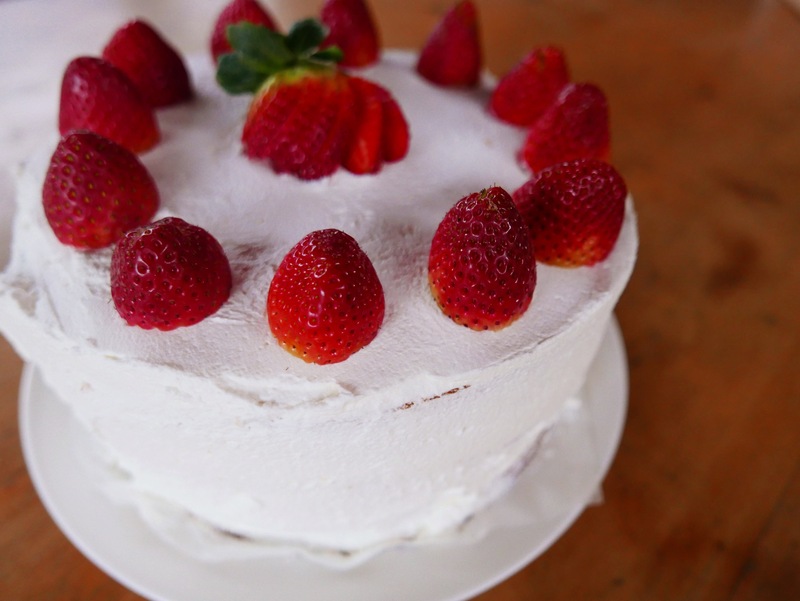 Frost cake with whipped cream frosting and strawberries. For whipped cream, use 3 cups heavy cream and 7 tablespoons powdered sugar, 1 teaspoon vanilla. Whip until stiff. I got the recipe for the cake here.